On Sunday, January 12, His Grace Bishop Serapion laid hands on, and ordained, Deacon Michael Guirgus as a presbyter with the name Father Angelos Guirgus to serve the Diocese at St. Mercurius and St. Abraam Church in Torrance. 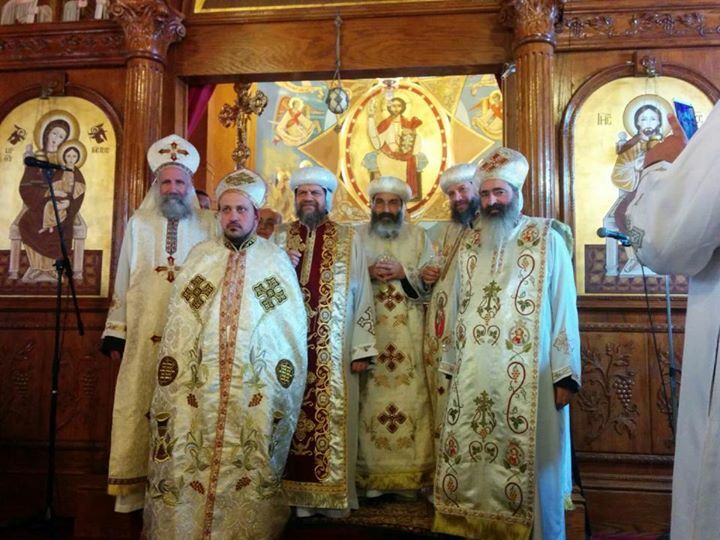 Participating in the ordination were the honored hierarchs, Bishop Tadros of Port Said and Bishop Youssef of the Southern United States. Father Angelos will travel, God willing, to the Monastery of Abba Antony in the California desert to complete his 40 days of fasting, prayer, and meditation before returning to begin his service. May God bless the service of the new presbyter, and grant him the fruit of the Holy Spirit.